Don Graves, is the president and founder of the HECM Institute for Housing Wealth Studies and an Adjunct Professor of Retirement Income at The American College of Financial Services. He is considered one of the nation’s leading educators on HECM Reverse Mortgages in Retirement Income Planning. Don has a skill for common-sense analysis and application, a strategic focus on advanced HECM education, as well as nearly two decades of experience in the Home Equity Retirement Planning space. His teaching course at the American College currently has more than 14,000 advisors enrolled and his personal practice has generated more than 12,000 HECM consultations, leading to nearly 3,000 clients. As both an educator and a skilled practitioner, Don has a unique perspective that very few share. As a Retirement Income Certified Professional (RICP®,) he understands the powerful principles and strategies regarding retirement income planning, its design, intent, risks and limitations. 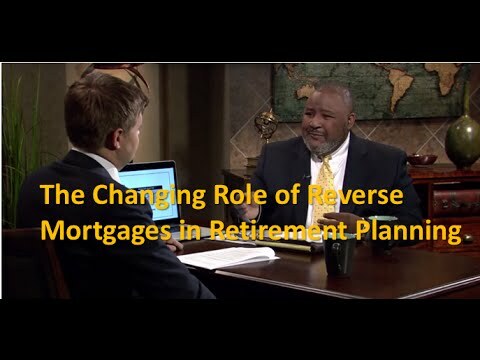 He is masterful in showing how and where housing wealth/reverse mortgages intersect with retirement income planning. Don has been quoted in Forbes Magazine and has been featured on PBS sponsored shows as well as other venues and programming. He is a sought after professional speaker regarding the changing face of reverse mortgages and how they can seamlessly integrate with a comprehensive retirement income plan. Don served as a guest member on the Funding Longevity Task force (now part of the American College). This group was instrumental in providing the research that led to FINRA reversing their-long standing position on Reverse Mortgages. Don’s recent article Can Reverse Mortgages Hedge the Most Common Retirement Income Risks? was recently published for the Society of Financial Service Professionals. In addition, Don’s work was highlighted in an American College article featuring Nobel Laureate Robert C. Merton “Making a Case for Reverse Mortgages in Retirement Income Conversations” as well as a Forbes Article “5 Ways a Reverse Mortgage Can Help Your Retirement” that was written by one of Don’s students summarizing the salient points of Don’s lectures. He holds an undergraduate degree in Finance from Temple University as well as graduate studies in Economics at Eastern University. Don resides in Greater Philadelphia, is married and has three children. If you can afford to make smaller, periodic payments on your reverse mortgage, you should. Should my wife and I look for an alternative to a reverse mortgage? Is it our desire to remain in our homes as long as possible? How would or could our life/retirement be different if we no longer had to make a monthly loan payment? The Big Question is: What does eliminating that mandatory monthly loan payment do for your Lifestyle and Retirement?